Atty. 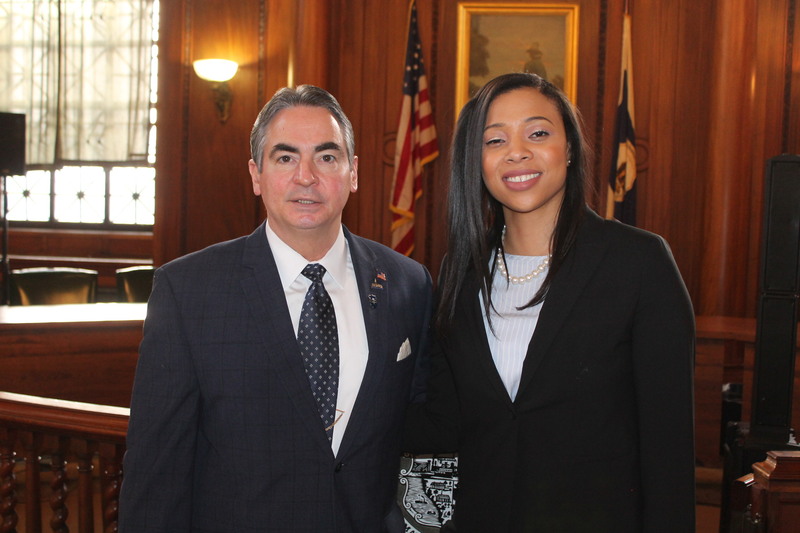 Talia Gee, who was appointed as Chief Diversity & Inclusion Officer by Mayor Domenic J. Sarno early this month, has hit the ground running conducting recruiting efforts at local colleges for the upcoming police officer exam. Atty. Gee, along with Assistant Human Resources Director Caitlyn Julius and Springfield Police Officer Edward Van Zandt, spoke to more than two dozen students at Springfield Technical Community College last week about the upcoming exam. This week, they will speak to students at American International College and Holyoke Community College. Atty. Gee will also hold meetings with the Springfield College Vice President for Community Engagement and the Americorps Director to discuss these and other recruitment efforts. To learn more about the 2019 Municipal and MBTA Transit Police Officer exam and how to sign up, please visit Mass.gov.